The Invisible Man's grandson uses his secret formula to spy on Nazi Germany. For the third sequel to 1933’s The Invisible Man, we head to 1942’s Invisible Agent. Set during World War II, we meet Frank Raymond (Jon Hall), the grandson to Frank Griffin, brother of original “Invisible Man” Jack Griffin. While Frank Raymond possesses Jack’s invisibility formula, he refuses to use it – until the Japanese attack on Pearl Harbor brings the US into WWII. Eager to help the cause, Frank goes transparent as a special agent behind enemy lines in Germany to take out Nazis in his own unique way. I’ll say this for the Invisible Man franchise: at least through its first three sequels, each one manages to stand on its own. Usually we find additional chapters that strongly echo the original and can border on remake, but Agent, 1940’s Invisible Man Returns and 1940’s Invisible Woman all follow their own paths. Whereas the see-through leads in the first three movies pursued their own goals, Agent brings a more altruistic, heroic star, and I like that twist. The use of invisibility for something important feels like a good choice, so Agent comes with reasonable potential to turn into a fun action take on the topic. Unfortunately, Agent prefers to go a more comedic route, so it lacks the action impact it should boast. Throw in an unnecessary romantic thread between Frank and doubt agent Maria Sorenson (Ilona Massey) and the film tends to squander its strengths. The comical portrayal of the Nazis seems especially perplexing. These Germans feel like Hogan’s Heroes prototypes, so they bring no threat. Perhaps this suited American goals of the day, as perhaps authorities wanted to lead citizens to view the enemy as easily-defeated buffoons. Whatever the reason, the film’s Nazis don’t come across as impactful characters, and the absence of menace means Frank’s mission feels less important. Hall fails to offer much personality as our hero. He seems like a generic “handsome white male”, one who doesn’t deliver charisma or cinematic presence. Agent does offer some talented supporting actors, with “names” such as Peter Lorre and Cedric Hardwicke in tow. They occasionally threaten to add power to the proceedings, but they can’t overcome the generally feeble nature of the project. All of this makes Agent a disappointment. While the movie comes with a clever premise, it wastes the viewer’s time with bad comedy. Invisible Agent appears in an aspect ratio of approximately 1.37:1 on this Blu-ray Disc. Despite a few inconsistencies, this became a fairly positive presentation. In general, sharpness satisfied, as the movie usually appeared well-defined. Some softness popped up for the occasional shot, but the majority of the flick boasted nice delineation. Shimmering and jaggies remained absent, and edge haloes also failed to appear. The movie’s grain structure felt natural, and print flaws didn’t mar the proceedings, though I saw a minor sense of “flashing” for one brief shot. Blacks appeared deep and dark, and contrast came across well. Shadows generally held up nicely, though a few nighttime exteriors displayed a bit of murkiness. Though the image didn’t excel, it still gave us a positive presentation. Similar thoughts greeted the sturdy DTS-HD MA monaural soundtrack of Agent, as it held up nicely over the decades. Speech could seem a bit distant at times, but lines were intelligible and concise enough. Music and effects displayed the expected restricted dynamic range, but they showed acceptable clarity and didn’t suffer from distortion. The mix lacked pops, clicks, hum, or other defects. This was a more than competent track for a movie from the 1940s. The Blu-ray includes the film’s trailer but it lacks other extras. At its core, Invisible Agent presents a clever and intriguing premise. Unfortunately, it squanders its inherent potential with a silly slapstick adventure that goes nowhere. The Blu-ray brings generally good picture and audio but it lacks notable supplements. Agent disappoints. As of winter 2019, Invisible Agent can’t be purchased on its own. 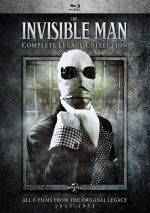 It can be found as part of a six-film “Invisible Man Complete Legacy Collection”. In addition to Agent, we find The Invisible Man, The Invisible Man Returns, Invisible Woman, The Invisible Man’s Revenge, and Abbott and Costello Meet the Invisible Man. 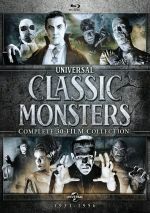 In addition, Agent comes in the “Universal Monsters Complete 30-Film Collection”. 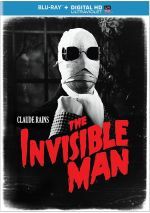 It actually packages the Invisible Man set mentioned above with similar compilations for six other Universal Monsters.